In the aftermath of the PV Novelle June, 2012, the key to the profitability of photovoltaic plants in the home and industrial locations is the highest possible rate of private consumption. Unfortunately, in industrial locations, it is generally not possible to schedule consumption around the hours of sunlight. Even in the home, the temporal influences of power consumer “Demand Side Management” are very limited in terms of practical application. 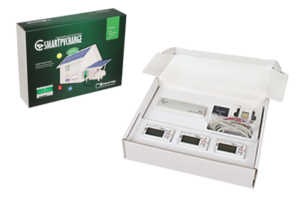 With SmartPvCharge, we offer a practical and economic solution here. In industrial locations SmartPvCharge can be deployed with one or more electric vehicles, e.g. in parking areas, airports or in park-houses and shopping centres to optimize proprietary consumption of solar power. It is also possible to optimize the entire charging infrastructure over existing building control systems. The most environmentally friendly form of electromobility! Fill up – but with sun only! We have tested this charging procedure comprehensively on a number of different types of vehicles. The practical experience we have gained has been reintegrated and deployed. 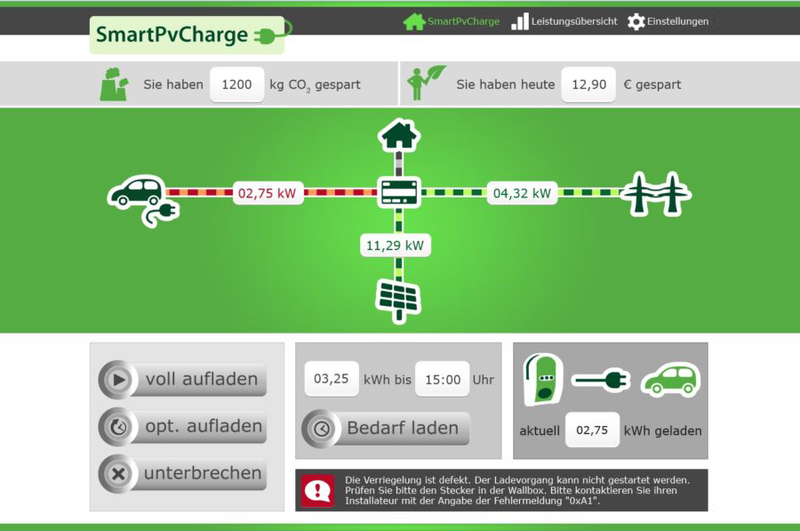 Schletter currently offers the SmartPvCharge Kit in three versions. SmartPvCharge Basic comprises: Controller, meter, power supply unit, SD card with operating system software, one set of supply cables 230 V and one set of meter connection cables 24 V. SmartPvCharge Professional is delivered with two meters and the SmartPvCharge Premium Kit with three meters. The number of configuration options increases with the number of meters present in the system, making the charging system and particularly the monitoring functions even easier to use. Test phases with enhanced systems are already being prepared. 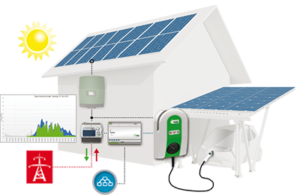 Compatibility and potential prioritization of the Charging Management with other procedures such as household storage or thermal utilization of surplus PV energy will be subject to testing here.